Making the decision to neuter or castrate your male cat or dog can be difficult for dog owners. Some fear it may affect the personality of their dog or have other implications later in life. Learn from frequently asked questions other dog owners have about this procedure and commonly held beliefs by veterinarians. For the sake of clarification, neutering or castration is the surgical procedure performed on male dogs or cats where both testicles are removed, thus surgically altering the animal from producing offspring. The term "neutering" is sometimes applied to both male and female animals. The more exact term for "fixing" a female cat or dog is called spaying when the ovaries are removed. Other terms for this are "desexed" or "reproductively altered." A cat or dog that is not neutered is considered "intact." Is Neutering Considered Major Surgery? In most cases, no, neutering is not major surgery since a surgeon does not enter the abdominal or other body cavities. Your pet will be sedated and anesthetized so he won't feel any pain or be aware of what is happening. His breathing and heart rate will be closely monitored by the veterinary staff. Since a general anesthetic is required, there are always risks with anesthesia. Dogs and cats generally recover a bit quicker from neutering than spaying since it is not as surgically invasive as a spay. There are several ways to perform the surgical procedure in cats and dogs. In dogs, the surgeon makes a small incision just in front of the scrotum, the sac that contains the testicles. Each testicle is removed separately, and the blood supply and vas deferens (spermatic cord) are tied off. The subcutaneous layers are sutured together with an absorbable thread, then the skin is closed with either skin staples, absorbable (hidden) sutures, or sutures that will be visible and need to be removed 10-14 days after surgery. You can take a look at surgical images for a more visual understanding of the procedure. In cats, many veterinarians prefer to cut into the scrotum itself to remove the testicles. Each testicle is removed and the blood- and sperm-supplying channels are tied off. The two incisions are allowed to heal as open wounds, usually with no sutures. The incisions are very small and are barely noticeable shortly after the surgery. There is one situation where neutering is considered more of a major procedure, this is if the pet's testes are hidden or undescended and are unable to find easily. The medical term for this condition is cryptorchid. This is considered a birth defect, where the testicle does not "migrate" out of the body cavity and into the scrotum like it should during normal fetal development. Some pets can be late bloomers and a testicle that is not present at birth can descend later, but by 4 to 6 months of age, if it is not there, it likely will not be. It is a heritable trait, so any pets in a breeding program with this condition should be neutered to not pass on this trait. Also, dogs with cryptorchid are at a higher risk of testicular cancer—another good reason for neutering. Where does the testicle go? It can sometimes be found deep inside the abdomen, similar to where the ovary would be found, by the kidney. It may be anywhere from the kidney area to the bladder. It could also be in the inguinal canal, the passageway from the abdomen to the scrotum. Why Does a Vet Perform Pre-Surgery Bloodwork? Many veterinarians offer pre-anesthesia screening to their patients and may have you sign a waiver if you decline these blood tests. Why is it important? This bloodwork provides a way to assess kidney and liver function prior to undergoing anesthesia among other things. The liver and kidneys are the primary organs that process and remove the anesthetics from the body. If they aren't working well, then anesthesia may be more of a risk. There are many different anesthetics available, your veterinarian can use the blood screening information to determine the best anesthetic to use for your pet. Some people fear if they neuter their dog that their pet will no longer be a good watchdog or protector of their home. This is not true. Dogs have a natural instinct to protect their home and loved ones. They are also much more inclined to stay home and happy when neutered. It is true that unneutered dogs are often more aggressive and territorial (urine marking, fighting), but these traits should not be confused with loyalty and protection of their home and family. Some people fear that after neutering a pet will become fat and lazy. This is also not true. Proper nutrition and exercise are what will keep your pet at a healthy weight and level of fitness, not failing to neuter him. Some owners claim that the neutering procedure comes at an inconvenient time or at an expense that they cannot deal with at the moment. Pet overpopulation is a huge problem in the United States and many countries around the world—you might not want to contribute to the problem of unwanted puppies and kittens simply due to lack time, interest, or funding. 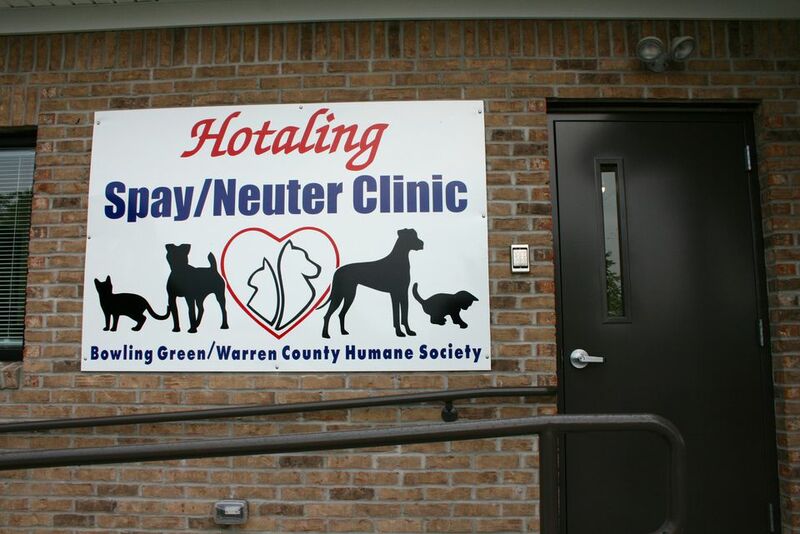 Speak with your veterinarian if you have financial concerns, there are many free neutering clinics offered throughout the U.S.
A pregnancy accident can come at a great expense and time burden, too. In addition, non-neutered males have an increased risk of cancer (testicular, perianal, and potentially, prostate) over their lifetime. Most people are surprised at how quickly their pets recover from surgery (certainly much sooner than their human counterparts). Most pets are up and alert shortly after surgery, and for neuter patients, most are back to their "normal" self by the next day. It is very important to restrict activity in those pets who are very active and to control excessive licking of the surgical site. Most vets will suggest getting a cone, or Elizabethan collar, for your dog. Commonly called the "cone of shame," the cone plays an important role in the healing process. It is also important to note that if your pet has already reached puberty (age 5 to 6 months or older), behaviors influenced by hormones will take a month or two to subside. Behaviors can include fighting, roaming, urine marking, and so on. Some of these behaviors are learned in addition to being hormonally influenced, so do not expect a complete cessation of undesirable behaviors after surgery. Neutering prior to puberty will lessen the occurrence of these behaviors from ever showing up. What Is a Dog Neuter?